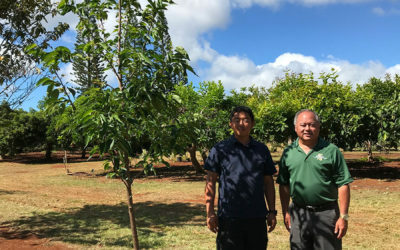 The purpose of the Hawaii Sakura Foundation is to familiarize Hawai‘i residents with Japanese flowering cherry trees — otherwise known as “sakura” — and to introduce more trees into various locations of Hawai‘i. 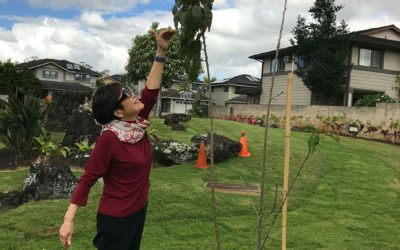 Formerly known as the Cherry Alley Committee, the Hawaii Sakura Foundation was approved by the State of Hawai‘i as a nonprofit incorporation on August 31, 2017. 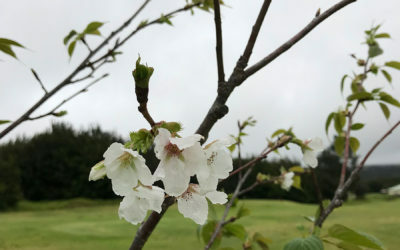 More than 100 years since cherry blossoms were donated to Washington D.C., Japanese cherry blossoms came to Hawaii to enrich friendship and goodwill between Japan and the United States. Japanese cherry blossoms has bloomed in tropical state Hawaii, which fact reverses the established theory. We, Hawaii Sakura Foundation will continue further activities. November 2016, planted. Every year, the cherry blossoms bloomed since 2017. June 2018, bloomed. November 2016, planted. Every year the cherry blossoms bloomed since 2017. June 2018, bloomed. Planted in 2012 Every year the cherry blossoms bloomed since 2014 April 2018, bloomed. Copyrights © 2018 Hawaii Sakura Foundation, All rights Reserved.